Our view: Predominantly a sightseeing Tour with some good roads thrown in. Plenty of time to visit the sights and spend a free evening in La Rochelle. This Tour is suitable for riders and pillions who don’t want high-mileage days. 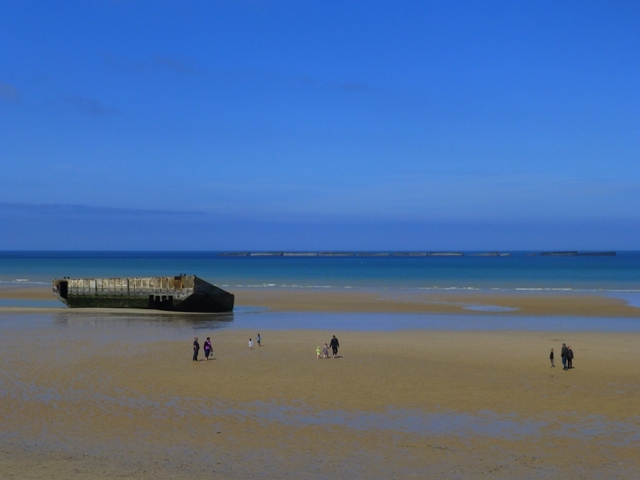 Following the success of our day-trips to the D-Day Landing Beaches, since 2009 we have been offering this extended tour which gives you the opportunity to learn more about WW2 history. 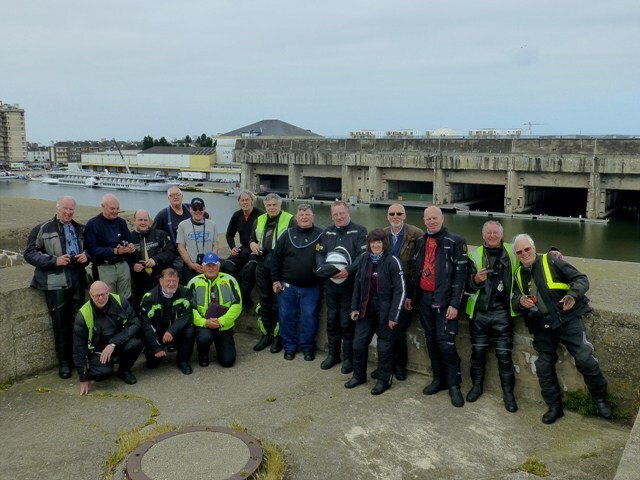 This will be a fully escorted bike trip from the moment you arrive at the port of Ouistreham, Caen (or agreed meeting point) and will be run at a moderate pace. The routes have been extensively researched and as we use a tried & tested “drop-off” marker system with a tail-end rider there is no need for you to refer to road books or maps. On our first day we start with a visit to the Grand Bunker at Ouistreham before riding to Pegasus Bridge, at Benouville, arriving at the first house to be liberated during the last hour of 5th June 1944, now the Café Gondrée. 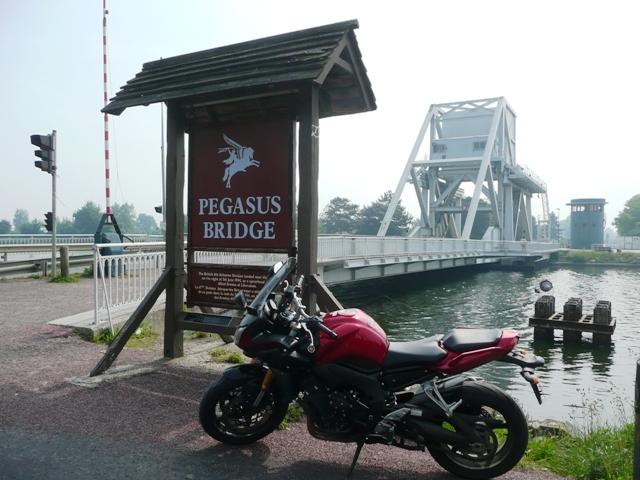 Entry to the Pegasus Memorial museum (with an English-speaking guide) is included where you can see the original Pegasus Bridge (it was replaced by the current bridge in 1994), a replica Horsa Glider as flown by Major Howard and other military equipment. We then continue on to Gold Beach at Arromanches, where impressive remains of the Mulberry B floating harbour can be seen. There is an informative museum in the town centre and also a 360o surround sound cinema on the outskirts of the town. 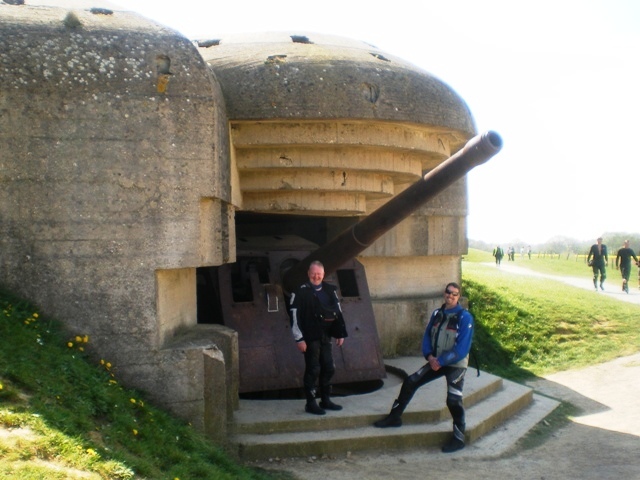 A short ride brings us to the German gun battery at Longues sur Mer, the only artillery battery to have Listed Building status. 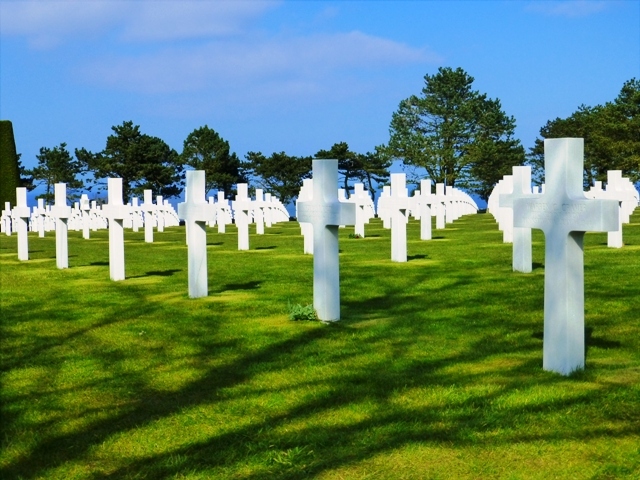 We move on to the American Cemetery at Colleville sur Mer, which stands overlooking Omaha Beach. This immaculate site contains the graves of 9387 soldiers with a further 1557 names listed on the Walls of the Missing. We allow plenty of time for this visit. Our hotel for two nights is at Bayeux where dinner the first night is included. 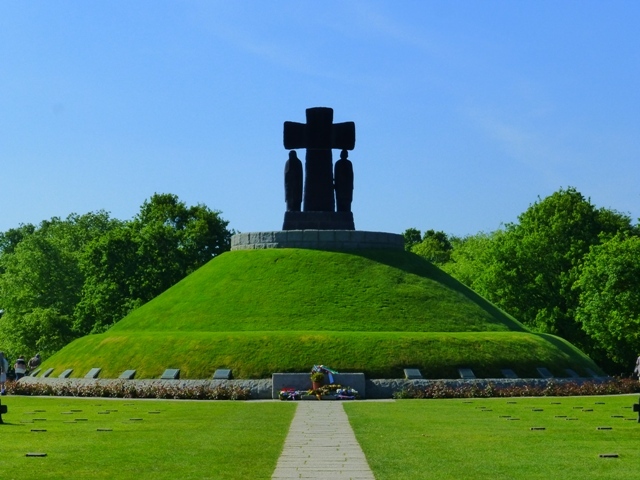 Day two we ride to the German Cemetery at La Cambe, where 21,222 soldiers are commemorated. 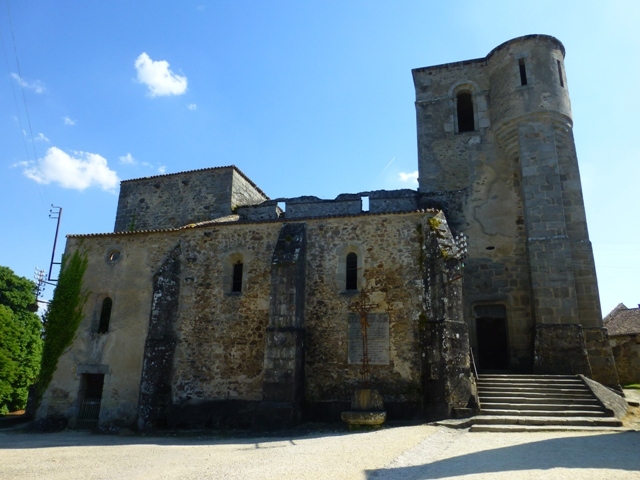 We continue to St Mere Eglise where we visit the Airborne Museum, and then on to La Pointe du Hoc, the cliff-face between Utah and Omaha beaches. A late afternoon return to Bayeux allows those who wish to visit the British Cemetery to do so. This evening is at your leisure, there are plenty of restaurants close to our hotel. On day three there is the option to visit the Bayeux Tapestry before we travel towards St Nazaire, the base for the German “U-Boats” during the war. Our hotel is situated a short ride from the town and dinner is again included this evening. 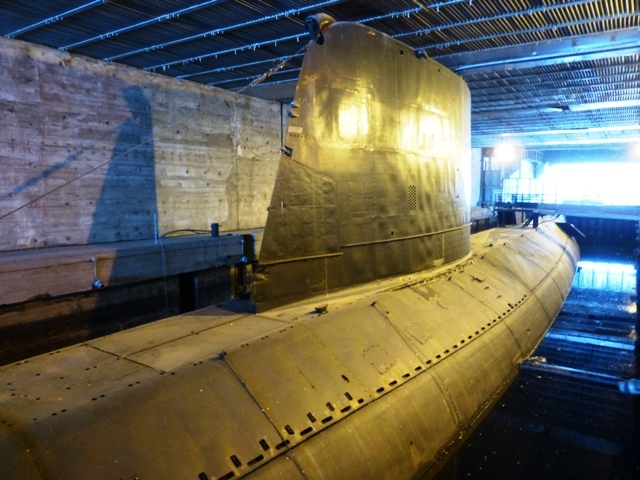 The next morning we visit the original “sous-marin” pens and entry is included to board the floating French attack submarine – L’Espadon – the only submarine open to the public in France. We then ride on to our hotel at La Rochelle, where the evening is again spent at your leisure. This popular French resort has a maze of cobbled back streets to explore and numerous restaurants to choose from. 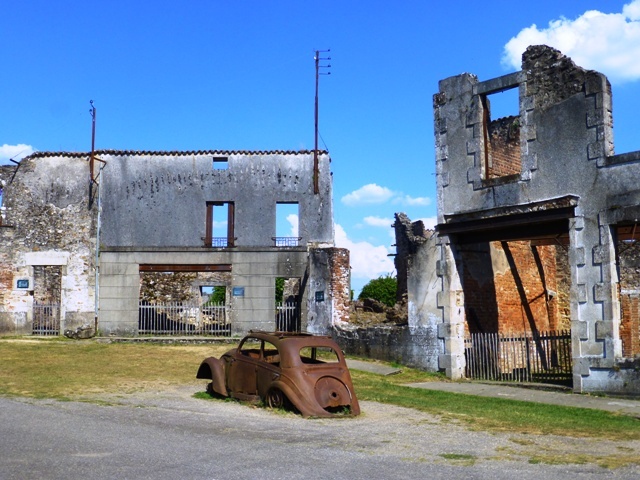 On day five we move on to Oradour sur-Glane, the “martyr village”, whose 642 inhabitants were massacred on 10 June 1944. The men-folk were rounded up and shot, the women and children herded into the church and burned alive. The village has been left untouched, providing a poignant reminder of the atrocities of the war. Entry to the Memorial Centre is included. Tonight is spent at a hotel in a town nearby where there are several restaurants to choose from. Day six we ride to Le Mans stopping to visit the Saumur Tank Museum en route. Dinner in a nearby restaurant is included this evening. The final day we head back to Le Havre, stopping off at the museum at Montormel which overlooks the “Falaise Gap” (“La Chambois – Falaise Poche”). The museum outlines the final battles of Normandy, which took place on the doorstep of Bike Normandy! Our home has stunning views over the Falaise Gap, which saw 100,000 Germans encircled in August 1944. During this tour we will stay mainly in small, independent hotels and your luggage will be transported in our back-up van for your comfort. The van will follow the same route and will be available to deposit helmets, jackets etc during the stops. Please contact us for more details – remember there are limited places on this motorbike holiday and with it being run at a moderate pace it will suit couples and riders with pillions.